Orbit Industries Extra deep adjustable box with built-in adapter, measures 4-Inch x 4-Inch x 3-1/2-Inch. It has a capacity of 46-Cubic-Inches and (12) sides, (4) bottom knockouts. It supports universal mounting. 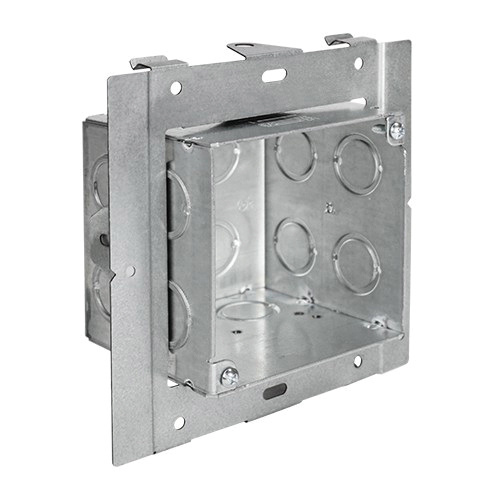 The square box in galvanized finish, has welded 16-Gauge sheet steel construction for durability. Box meets UL E227970, cULus and RoHS standards.